IDF to draft women to serve as kashrut supervisors. Though position has been open to women for years, policy never implemented until now. Following the instruction of the head of the Personnel Directorate, Major General Moti Almoz, in two weeks female soldiers who are to fill positions in a course of kashrut supervisors will enlist, Galei Tzahal reported Thursday. 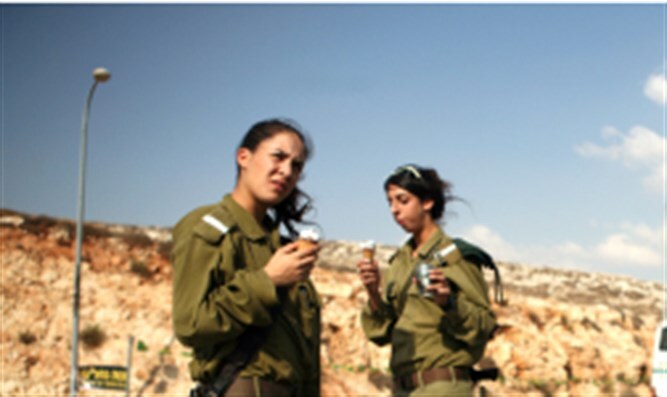 In 2004, the IDF decided to open the role of kashrut supervisors for girls, but the decision has not been implemented since then due to various objections from the military rabbinate. A few months ago, the fact that the decision was not implemented was publicized and, as a result, the head of the Personnel Directorate ordered the military rabbinate to implement the decision and recruit girls for the position. The women who are to serve as kashrut supervisors are expected to enlist on Tuesday, December 11. From the army reception base they will go to the army school for human resources professions, where they will undergo a special course of military kashrut supervisors that will last two and a half weeks. This course, which had been closed to women, will now be opened for the first time to women by the military rabbinate. After the course, the female soldiers will fill positions as kashrut supervisors in various army units. The IDF said in response: "The IDF is working to integrate women in an egalitarian manner and in accordance with the needs of the system."